The Bishop’s Stortford High School offers two post-16 pathways to accommodate different learning styles. Entry to the Sixth Form is dependent upon achieving the basic minimum requirements at GCSE. Students wishing to study the A-Level pathway require a total points score of at least 44 from eight GCSEs. Students wishing to study the combined BTEC and A-Level pathway require a total points score of at least 34 from eight GCSEs. Both pathways require at least a grade 5 in Mathematics and English Language. Students also need to meet the subject specific entry criteria as detailed in the relevant sections of the Sixth Form Prospectus. The intended number to be admitted to the Sixth Form in 2018 is 200. A minimum of 45 places in Year 12 will be reserved for external applicants who meet the stated minimum entry requirements. Children who meet the entry requirements and have an Educational Health Care Plan (EHCP) that names the school will be admitted. In the event that a pathway is over-subscribed, then places for external applicants will be allocated (to students meeting the entrance requirements) by applying the following oversubscription criteria in the order set out below. Priority will be given first to appropriately qualified applicants who are children looked after or previously looked after (children who ceased to be looked after because they were adopted or became subject to a child arrangements order or special guardianship order). Priority will then be given to children who live nearest to the school, measured by using the Hertfordshire Local Authority’s computerised mapping system. Should two applicants have the same home-school distance a random allocation will be made and that process will be independently supervised. Final decisions regarding pathway and subject choices will only be confirmed once actual GCSE grades are known and it is confirmed that applicants have met the minimum academic requirements for each course. 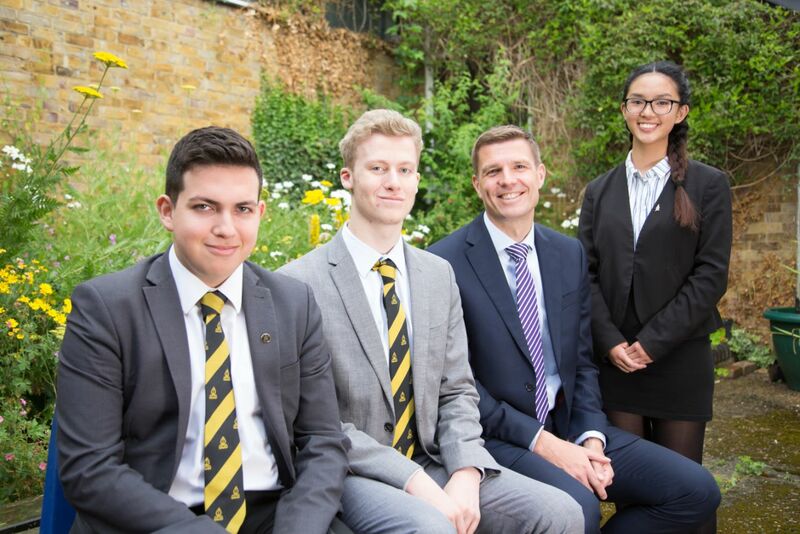 The Bishop’s Stortford High School Governing Body will review its admissions arrangements annually in line with current legislation and the School Admission Appeals Code. Details of admissions arrangements and of the appeals procedures against non-admission will be published each year. Parents can appeal against an admission decision, in accordance with current legislation and the School Admission Appeals Code. The closing date for lodging a Sixth Form appeal is 26 September 2018. Applicants cannot normally appeal more than once in an academic year except where exceptional circumstances exist. Applications for Entry 2018 are now closed - Late applications may be considered but please contact the school on 01279 869531 or sixthform@tbshs.org in the first instance.